How to experiment with ad units in google adsense. Google adsense is my number 1 ad provider because of a lot of reasons like blocking inappropriate ad networks, blocking inappropriate ads, blocking low paying ad networks from serving ads, customizing ad styles etc. and mostly this one. 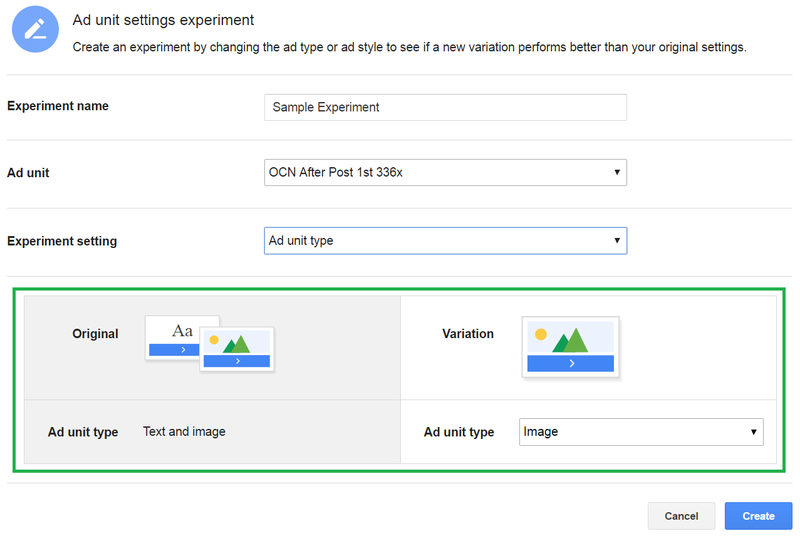 You can experiment with the ad units you use to publish ads. Experimenting ad units includes publishing different types of ads (text/image, only text) etc. in an ad unit and finding out which one is performing better than the other and many other types of experiments. What we can do with experiments? Experiment between ad unit type. For example; you might have an ad unit that shows both text and image ads. You set to experiment it with only text or only image ads. Thus you can find out which configuration is more profitable for you; text and image ads, or only text or only image ads. Experiment between text ad styles. Experiment with allowing or blocking general category ads. For example you can block a general category ad which is currently allowed and see if this decision is better. You can do the same with sensitive category ads. You can also experiment with different ad serving methods, like animated, enhanced display etc. You can turn off a method which is currently turned on or vice versa to see which is decision is better. How we can create experiments? 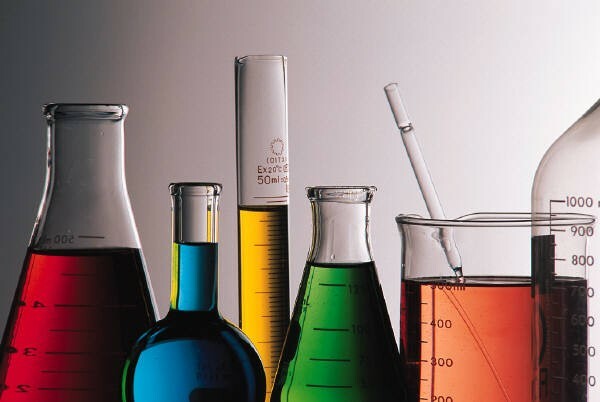 To create new experiments or to view experiment statuses login to your adsense account and click on Optimization from the top navigation menu. Then click on Experiments from the left sidebar. This is the experiment panel. 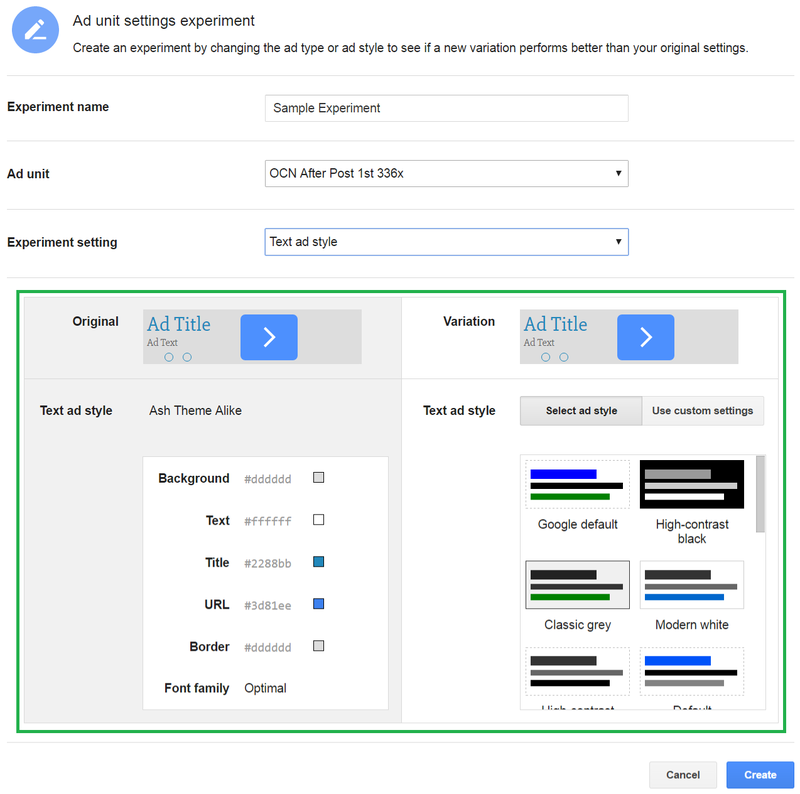 To create a new experiment, click on either Ad Unit Settings or Allow & Block Ads. In the next part, we will see how to create Ad Unit Settings experiment. First of all give this experiment a name in the textbox labeled as Experiment Name. Then select an ad unit on which you will experiment from dropdown labeled as Ad Unit. Now select the Experiment Type. If you select Ad Unit Type, then you will be offered with something like the following where you will have to select variation to the original settings. For example if the original setting for the selected ad unit is Text/Image Ads, then you can select only text or only image as the variation to experiment with. 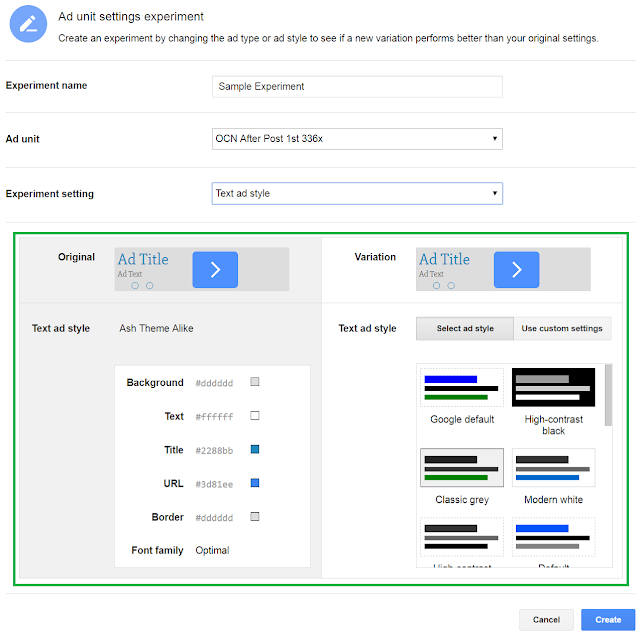 Again if you select Text Ad Style as the Experiment Type, then you will be offered with some as follows where you will have to select a different ad style (learn more about creating ad styles) than the original assigned to the ad unit to find out if the variation or the original is performing better. In the next part, we will see how to create Allow & Block Ads experiment. You will have 3 experiment settings to select from. When you click on the Add button, you will see a popup panel like this one where you can temporarily allow or block general category ads to see if allowing a blocked category or blocking an allowed category would be a good or bad decision. When you click on the Add button, you will see a popup panel like this one where you can temporarily allow or block sensitive category ads to see if allowing a blocked category or blocking an allowed category would be a good or bad decision. When you click on the Add button, you will see a pop panel like this one where you temporarily allow or block an ad serving method to see if allowing a block ad serving method or blocking an allowed ad serving method turns out profitable to you. So, we now know how to create experiments, lets see how it will work in the next part. You can click on any experiment to see detail. Here I am clicking on a running experiment to see what I can do with it. Okay, I just created the experiment for this tutorial purpose so there is nothing much to see. Thus the current status is Collecting data for analysis. Please check again later. You can choose the variation by clicking on Choose Variation button and otherwise click on Choose Original. You can also stop the experiment by clicking on the Stop Experiment button. Following is my another experiment which is already completed and I found the original configuration was better than the variation. Okay so that's it for the Experiment panel of Google Adsense. Let me know in the comments, how experiments are helping you. Also subscribe to this blog to get all the tips right in your inbox.